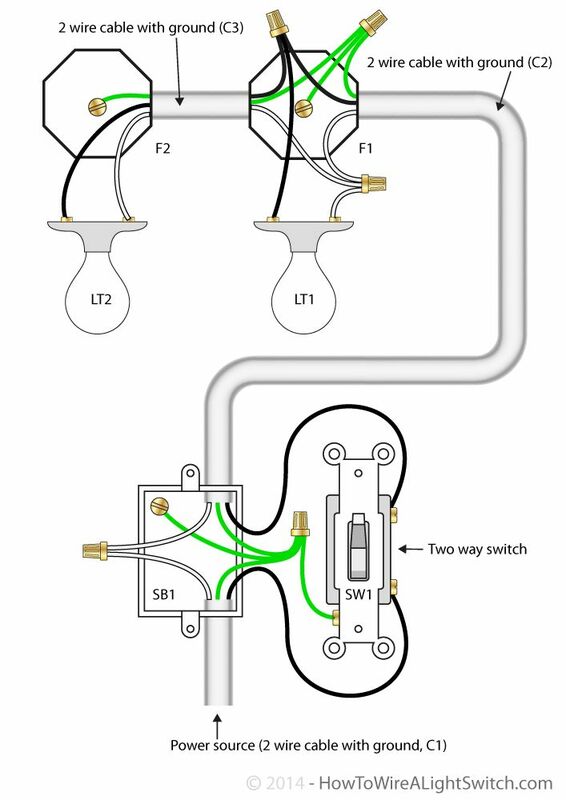 To switch from two locations you'll need 2 two way switches and wire them together in a particular way. A two way switch has 3 terminals. A common(C), L1 and L2. If you look inside an existing wired in two way switch you will see quite a few wires of differing colours. This can be confusing. 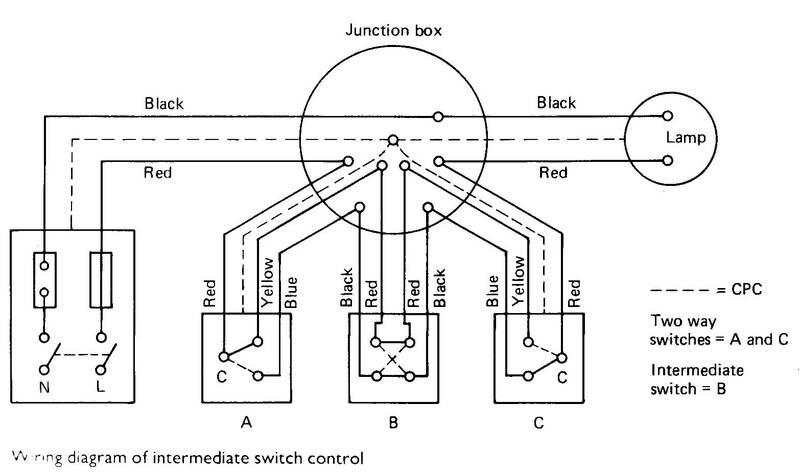 Ceiling rose wiring with two way switching (new colours) Assuming your two way switch wiring uses the ‘new’ core cable colours i.e Brown (live), Blue (neutral) and Green Yellow (earth) for cables A, B & C then Fig.1 shows the most common way your ceiling rose will be connected.